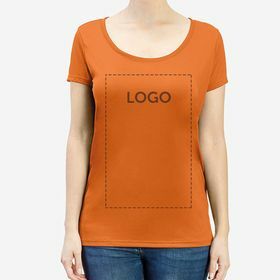 Have your logo on great printed T-shirts and promote your company with textiles at a good price. Choose the model and colour, edit your design with our online tools, add them to the cart, and you are ready! Choose Express Delivery and you will receive your personalised T-shirt order in record time. We only work with leading brands so that you get the best combination for branding and promotions. We are working on expanding our selection of organic cotton T-shirts further. Your promotion's success can also be a success for the environment. 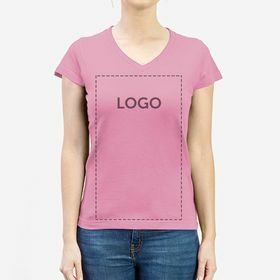 Think about what colour T-shirt will be printed with your logo or personalised design and you will find it in our wide selection of colours. Every T-shirt you can printed at Camaloon is comfortable and easy to wear all year long. Take a look at the different sizes and styles: classic, sport, or modern. 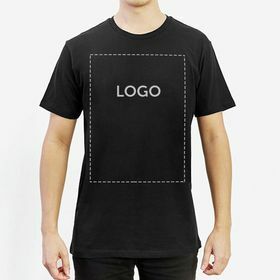 T-shirts with DTG vs T-shirts with screen printing? 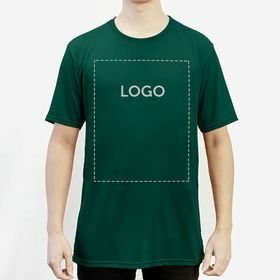 Screen printing refers to a screen specially made for each design with which they pull over a layer of ink to produce the custom T-shirt design. As a special screen is made for each design, orders of large quantities are usually made to get the most out of the investment. 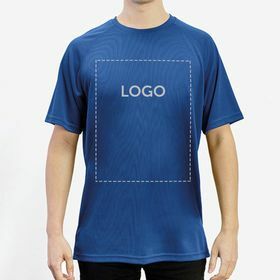 Screen printing is one of the most popular custom T-shirt printing methods. DTG printing refers to the printing process being ‘direct to garment’, so basically printing directly onto the fabric of the custom T-shirt. This method produces some of the most detailed designs possible, using as many as colours you want, aka full colour. This method is usually used when ordering small quantities of high-quality products. 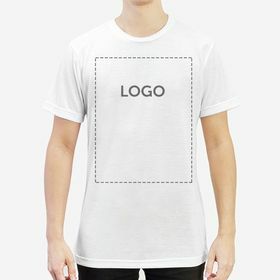 At Camaloon we have endless options for you to have your printed T-shirts exactly the way that you want them. Whether you are looking for a traditional style of short sleeves and a crew neck, or if you prefer the slightly different styles like long sleeves or the V-neck... we have got it all. 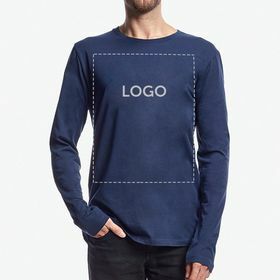 Some of the earliest T-shirts were used by the U.S. Navy and date back to around the late 1800s to the early 1900s where they were made from cotton and used as undergarments. 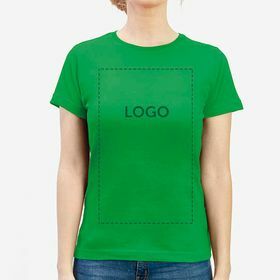 Despite the design perhaps altering a bit over the years, we have T-shirts made from cotton that capture the essence of the original item as well as more modern alternatives such as polyester for a more lightweight material, popular for sports Tees. 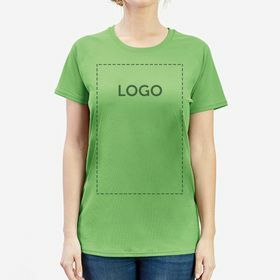 Our T-shirt printing is a great way to strengthen your company’s image at events. We at Camaloon offer an immense amount of options for you to create your perfect printed T-shirts and get the most out of your promotional activities. Therefore, if you have decided to order in bulk, we believe screen printing is the best option for you. 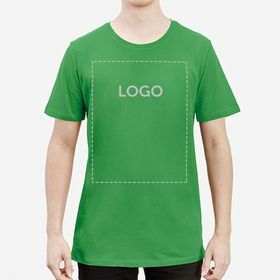 You will always have your printed T-shirts showing your logo on hand for your next event or even to offer customers and employees. It is also an excellent option if you are going to resell. 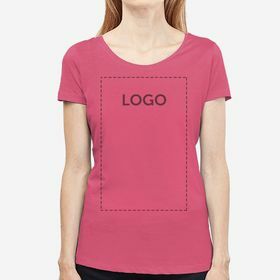 One of the greatest advantages of T-shirts is how many different colours they can come in, making endless options to express your message. 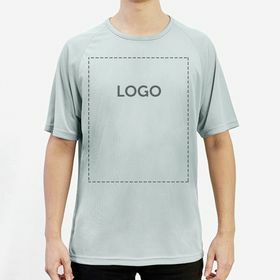 Once you have chosen your colour and other details, our team of experts will evaluate the design of your custom T-shirts completely for free to make sure your order arrives just as you had imagined, with perfect T-shirt printing. At Camaloon we have an extensive amount of items which can be personalised to fit your promotional needs. To put this into perspective, imagine being part of a conference and handing out personalised badges with your company’s logo and message printed on them; you can even create custom bags to put them in. Nothing makes clients and attendees of events feel more comfortable and included than free personalised gifts. And to put the cherry on the cake, you could even present them with personalised notebooks so they can jot down any relevant information in a beautifully made notebook covered in your perfect design. 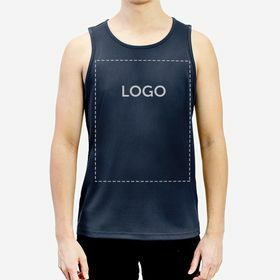 Printing your brand in a stylish and attractive way on essential and popular products is a proven way of increasing brand awareness and company growth.